One of the big problems that I struggle with a lot is anger. I'm just going to put it right out there and just tell people and not shy away from it because anger is something that I deal with frequently. And I think that there are really many different forms of anger and anger which comes from different sources. Some forms of anger are very negative in that you're angry at other people you're angry at people you are interacting with and you have a sort of hatred and meanness towards those people. I find this happens with me a lot if I'm driving and somebody gets in my way or goes too slow or something of that nature and I will become very angry and upset at that person it causes me a lot of anger even long after that person is gone and is no longer causing any problems and so on. But the anger sort of lingers and sometimes can build up. On the other hand sometimes anger can come from Fear or worry. This is a little bit strange when you think about it but it's just as real. So for instance sometimes I might have a nightmare 4 things might be coming up that upset me or worry me and then I will become angry angry at the world angry at all kinds of different things and this is a different form of anger. So I'm not angry at a particular person as such but I'm angry at the situation. I feel like another form of anger come from just things that happen in life. One example for me would be that sometimes I get up in the morning and I'm very very tired and I just think about the fact that I have to go to a job that I really don't want to go to and I just feel like I have no time to do anything and I don't have time to get ready in the morning and I feel rushed and I feel panicked and I feel angry that I have to even do this and I feel tired and perhaps sore and various things like that and so I get very upset and angry and sometimes I find myself when I'm driving to work I will be very angry very very angry at various things and so on. Now that I have sort of given an outline of events and times that caused me to become angry I think it's important to realize that ultimately anger is more harmful and hurtful to yourself than to anybody else. The sages and wise sayings in our tradition have to find anger as an inordinate desire for vengeance. And while I think this is true how anger can sometimes extend to inanimate objects ideas Concepts as well as towards people. But ultimately it creates a lack of control over our lives we feel powerless helpless and we feel frustration and we're not effective. And many people believe that the way to get over anger is to express it is to let it out. But this is absolutely not true in fact the more you let out your anger the more likely you will resort to anger the next time something comes up because you're not training yourself to avoid becoming angry and you are not creating yourself on techniques to mitigate and lessen the anger and produce calm. You are much better off establishing ways of calming yourself and training your body to react calmly to various stimuli in your life because that way you train yourself just like an athlete trains him or herself to become adaptable to various circumstances. So I feel like my goal right now his to practice calmness and tranquility so that rather than escalating the beginnings of anger and the beginnings of frustration instead turn them the other way I go down the other path so that ultimately that's better for me because I feel better and happier and more at peace and more, because that's one of the things that I pray for and try to achieve. 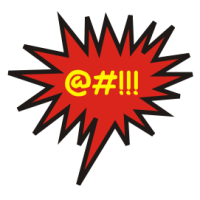 Again if you want to add your own comments or if you have any of your own experiences with anger please feel free to share them in the comments section below.